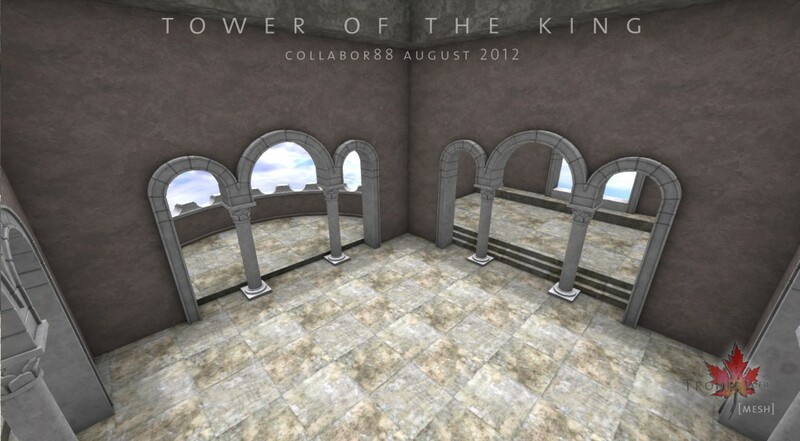 Its Collabor88‘s 1 year birthday, and what a fantastic year it’s been! 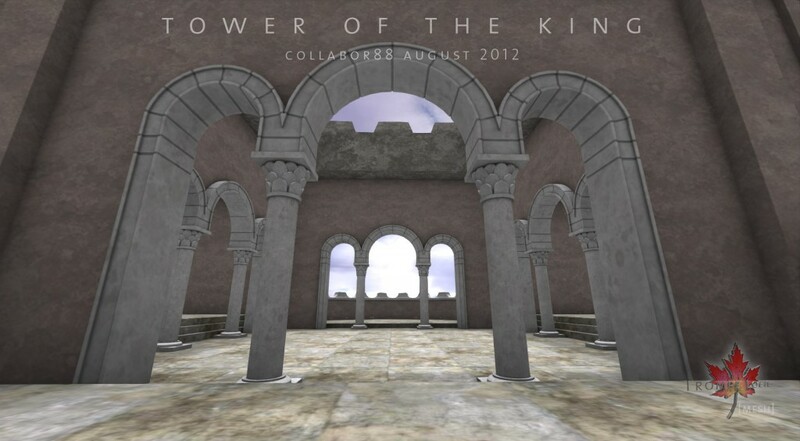 A huge thank you to Jez and Drink, the amazing coordinators and hosts of C88, for making this monthly event the premiere shopping experience in Second Life. And we are so, so thrilled to be a part of it! Our favorite projects each month are almost always C88 items, and this month is no exception. 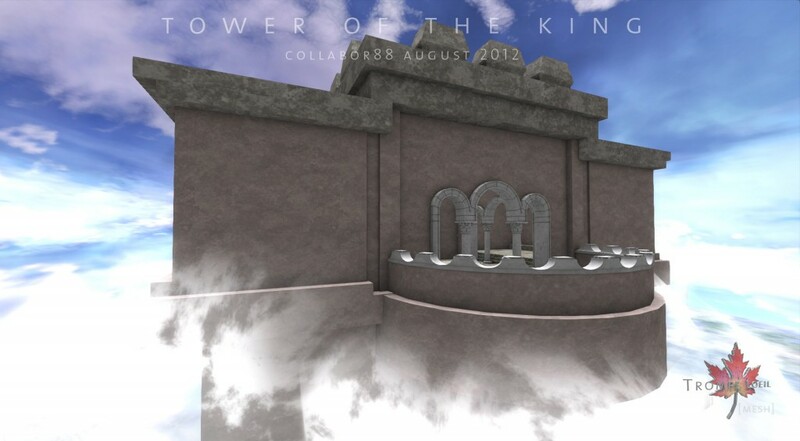 Presenting the Tower of the King Skybox! 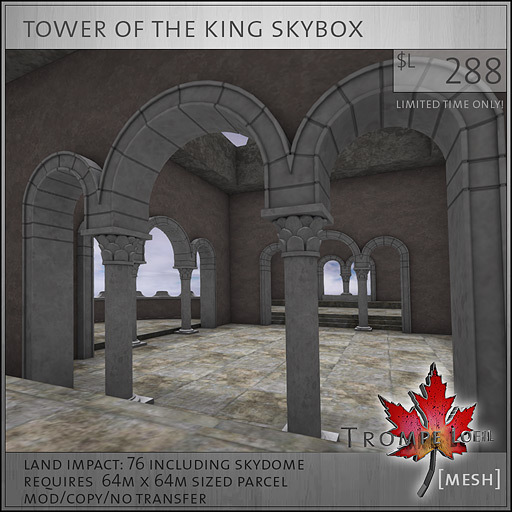 All-mesh, all-baked, and fashioned after a certain locale familiar to fans of the series Game of Thrones, the Tower of the King Skybox features two half-circle balconies, two enclosed side rooms, and a central room with open skylight ceiling, just the right size for decorating. Surrounding the build is a half-dome skysurround scripted to vanish upon owner’s touch to allow easy access and privacy. Lightweight at only 76 prims, use the build without the skysurround to take fantastic photos using your hardware lighting and shadows. Great for photo backdrops or just a private getaway! We’ve also included a lovely Baroque Table and Chair Set and a versatile Garden Archway in this month’s batch – the Chair includes 11 animated poses and the Table/Chair set are mod/copy, as well as the Garden Archway. 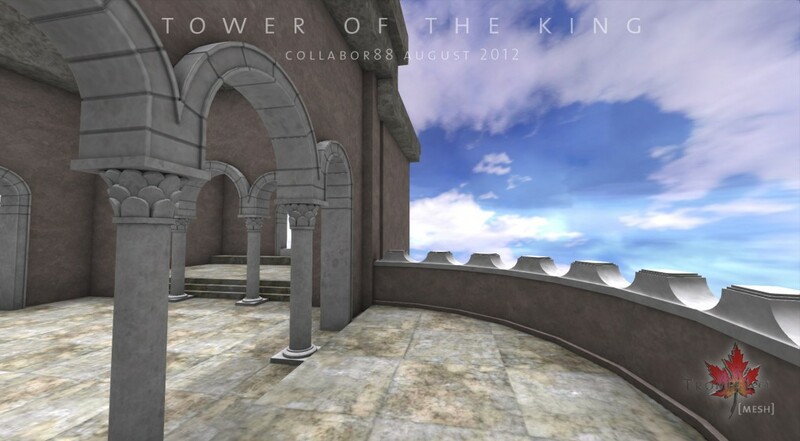 Both pieces are a great way to get started decorating your Tower of the King Skybox! These items are available exclusively at Collabor88 for the month of August at super discount C88 prices, so swing on by today and check out the display versions and pick them up for yourself or a friend using our handy vendor gift feature!